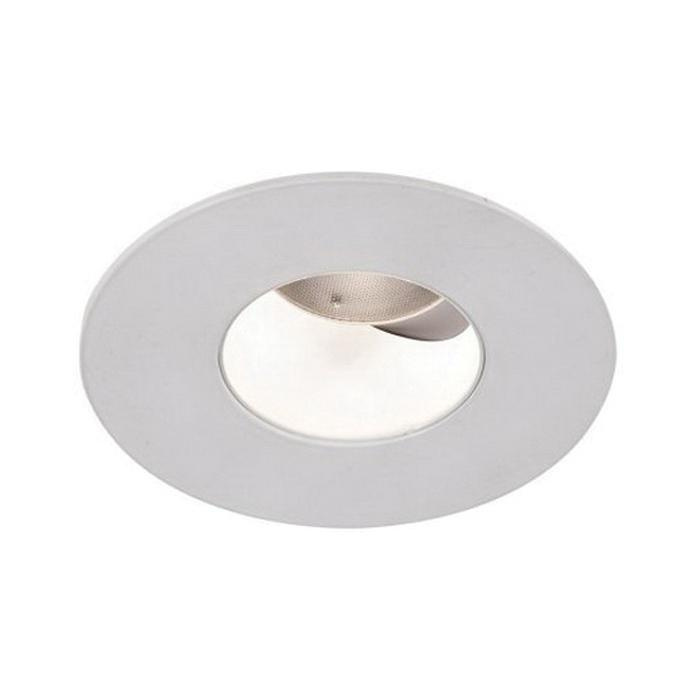 WAC Lighting 2-Inch Round LED adjustable trim in white color, features durable die-cast aluminum construction. It has 14.5-Watt 80 CRI 750-Lumens 2700K LED lamp. Trim measures 4-1/4-Inch OD x 4-1/8-Inch. It is suitable for sloped ceiling applications. LED adjustable trim is ETL/cETL listed and CEC/Energy Star® certified.